Street carnival Rio photography.Rio Carnival Street Parade. From the hotel in Barra the taxi driver took me to the airport, thanking me for my visit in his most nostalgic Rio-esque way, saying: “O carnaval 2015 foi embora”, “And so it was, Carnaval 2015”. Here in São Paulo, the atmosphere is much different, no open-air rhythms of the Batuque or samba are to be heard, no bloco street parades are popping up on corners, joyously dragging me in and sweeping me down the avenues. I am already painfully nostalgic for those few but unforgettable days, when the daily routines of Rio were so delightfully invaded by all those happy people, “brincado”, frolicking, in the Carnaval. The exuberance and infectious rhythm of this marvelous city is the shot of life-affirming joy that sustains my determination to live the rest of the year with vigor and a lust for life … until the next Carnaval . 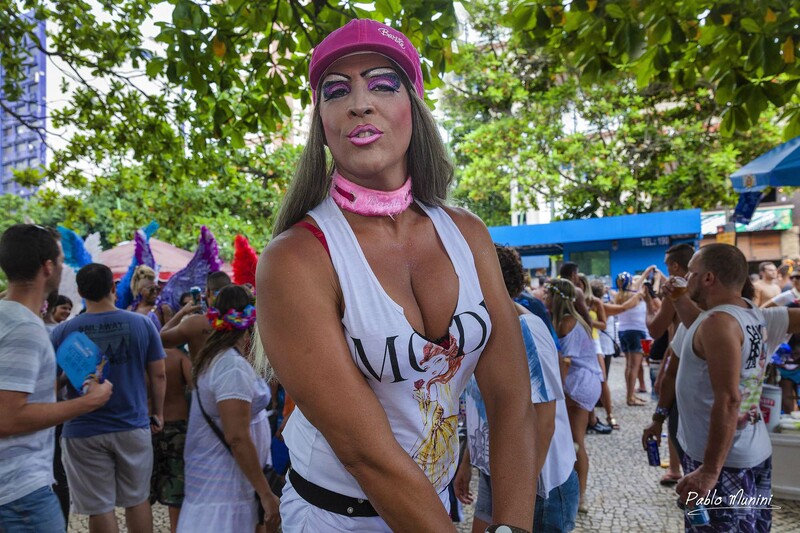 A more informal way to enjoy the Carnaval today in Rio is to join in one or more blocos, or block parties. The rise of block parties is fairly recent in Rio de Janeiro, and in the last decade their numbers have increased to over 400. Now most blocks celebrate their neighborhood pride during Carnaval with their own bloco or banda. A bloco usually includes a percussion band winding through the neighborhood’s streets and around the block, with a crowd of cheerful locals following behind singing, dancing and drinking. Like the famous samba schools that are the foundation of Rio’s Carnaval, a bloco usually has a theme to distinguish it. A banda plays old favorite songs during the parade, with sambas and “marchinhas” to set the beat. These are usually songs that the locals have known by heart since childhood, and so everyone sings along. In addition to a percussion band and one or more singers, both bandas and blocos usually have a “porta bandeira” (flag -bearer), and a “mestre sala” (master of ceremonies) to set the tone.